Our jewelry selection includes both classic and modern pieces by designers such as Marjorie Baer, Ann Skydell Harmon, and more. 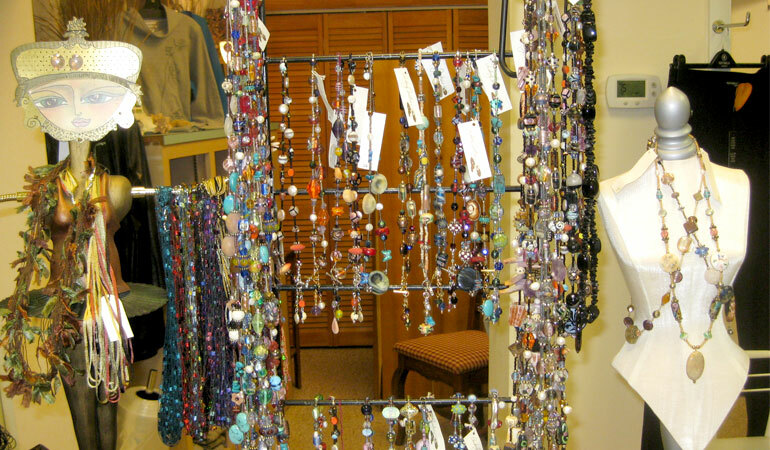 From intricately designed gold and silver pieces to funky necklaces made with unique, colorful glass beads, our jewelry is almost as much fun to look at as it is to wear. Many of these beautiful items are handmade, so you know that yours is truly one of a kind! Whether you are on the look out for a special gift for a friend or treating yourself to the perfect pair of earrings to wear on your next night out, something is sure to catch your eye at Twila Farrell. Handmade jewelry - one of a kind pieces that are as unique as you! 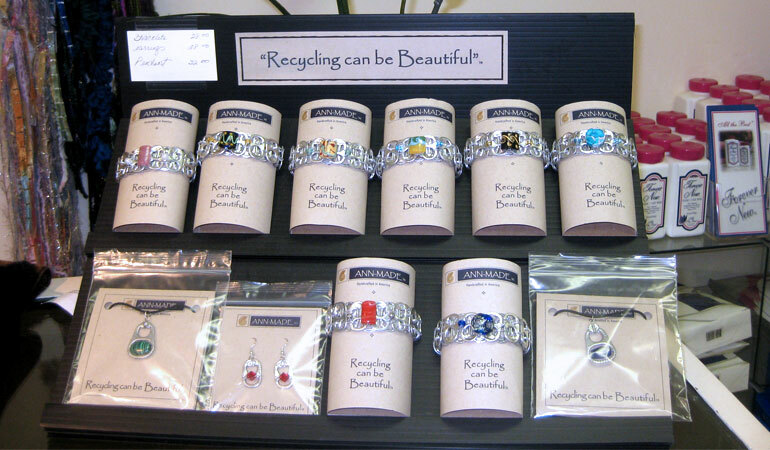 Recycling can be beautiful! 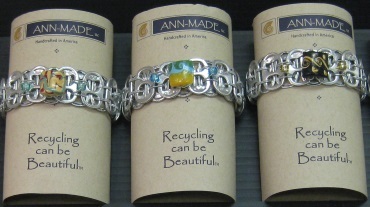 Handmade creations from recycled soda can tabs from Ann Skydell Harmon. 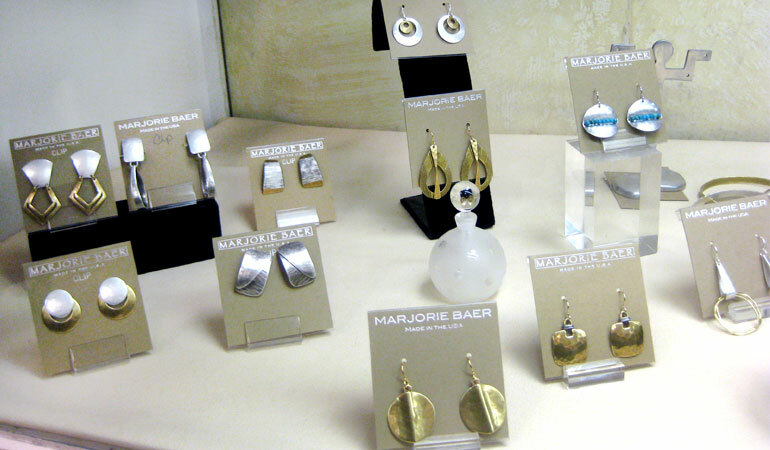 Elegantly designed earrings from Marjorie Baer. 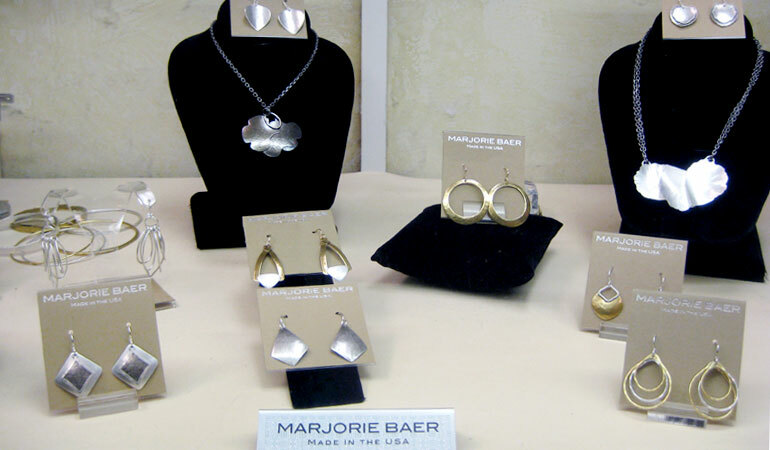 Modern, eye catching pieces from designer Marjorie Baer.